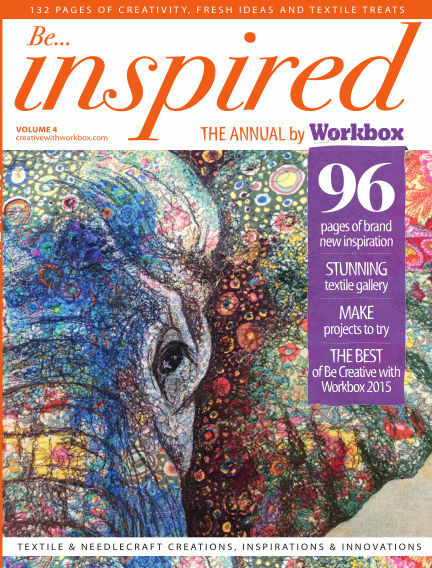 In this issue of Be Inspired By Workbox : Packed to the brim with incredible textile art and features from amazing textile artists, Be Inspired is a must-read for any textile enthusiast. Featuring exclusive interviews, a stunning textile gallery, work from renowned artists from around the world. Be Inspired is an unforgettable dose of crafty inspiration. With Readly you can read Be Inspired By Workbox (issue Issue 4) and thousands of other magazines on your tablet and smartphone. Get access to all with just one subscription. New releases and back issues – all included.